The Longest 5 Minutes is getting localized by NIS America – PS Vita and PC Release in 2017 – 3WIREL! NIS America has announced that the Vita RPG The Longest 5 Minutes is getting released in North America and European markets 2017. It will also be getting a Steam release as well. Very exciting news and we will cover more on this title as information comes out. Below is a short PR statement about the story of the game and a teaser trailer for the title as well. 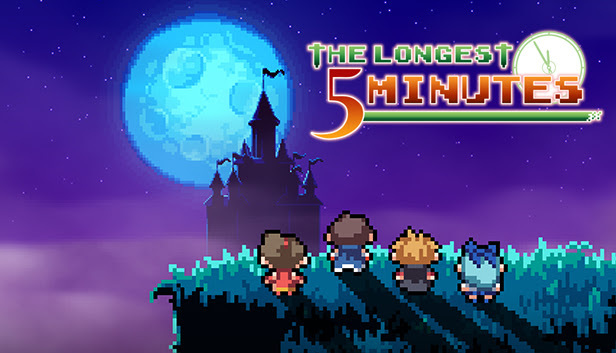 Originally developed by Nippon Ichi Software and SYUPRO-DX and releasing today for the PS Vita in Japan, The Longest Five Minutes will take you inside the mind of a hero during his final encounter with an epic and evil Overlord. As the story unfolds, the conversations you have with your party and the Overlord will unlock memories of the hero’s journey. Each memory plays out in classic 8-bit RPG style, and the outcome of those memories affect your party in their final battle.